Dewar Style Glass Cold Trap - ON SALE! - FREE Shipping! 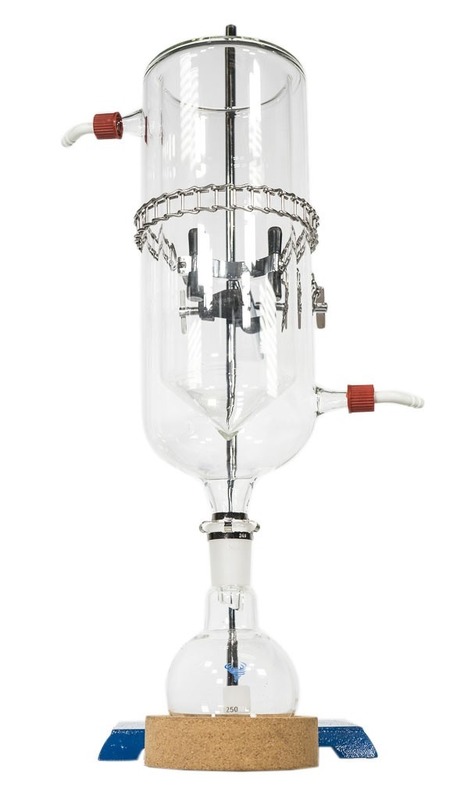 The Dewar Style Glass Cold Trap with GL-14 Barb Fittings allows the user to load dry ice into the inner portion of the cold trap from the top to allow maximum condensation temperatures. This protects your vacuum pump and captures any vapors that were lost during evaporation or distillation. Made in the USA.